Over the past several months, Suu Kyi has dominated news headlines both at home and abroad. Her meetings with the droves of world leaders visiting Burma received more coverage than those dwelling in the capital city Naypyidaw. Some European leaders even sidelined protocol and showed their preference by spending extra hours at her famous lakeside house rather than up with government representatives based farther north. Apparently she is walking the same path set forth by another Nobel Laureate, Nelson Mandela, although their political struggles are quite different. Suu Kyi desires democracy through non-violence while the former Robben Island detainee wanted an end to apartheid by any means. At this juncture, it is still too early to say whether she could achieve the same level of influence and goodwill as he did. Undeniably, though, South Africa’s overall status on the world stage has been lifted many times over due to his undeniable charisma and spirit of reconciliation, which earned him the reputation as a true global statesman. Pretoria has wisely used the goodwill emanating from Mandela’s aura to promote national development and attract investment in all fields. Apart from the much-heralded World Cup in 2010, Mandela also played a major role in bolstering South Africa’s international standing as part of the G-20 and new BRICS (Brazil, Russia, India, China and South Africa) power bloc. Through anti-apartheid political struggles and the message of forgiveness, the first black South African president traveled the world and won accolades everywhere he touched down—bringing home ever more international support and respect. In a similar vein, Suu Kyi’s star is rising. The 66-year-old is taking her charm and peaceful democratic struggle abroad as an elected member of Hluttaw, or Burmese Parliament, with her first week-long foreign trip in 24 years—initially to Thailand and later on to Switzerland, Norway, the UK and Ireland. Both Suu Kyi and President Thein Sein were scheduled to speak at the World Economic Forum for East Asia this week in Bangkok. Her trip to Thailand has a deep symbolic meaning as both countries share a 2,400-kilometre border where many dissident Burmese ethnic groups are based. Any successful reconciliation plan with minorities by the frontier would need Thai support. Furthermore, the appearance of Thein Sein and Suu Kyi at the renowned economic forum would greatly augment the international community’s confidence on continued reform in Burma. As long as the two still trust each other, the general goodwill towards this once-pariah state will be maintained. Within a brief period, both have helped Burma grow into the regional and global community, albeit with continuing armed conflicts with ethnic groups and human rights violations. After Bangkok, Suu Kyi will leave for an extended visit to Europe that will further raise her profile. Apart from addressing the International Labour Organization in Geneva, she is scheduled to attend a function hosted by the Nobel Peace Prize committee in Oslo on June 16—nearly 21 years after she was supposed to receive the award in 1991. At that time she was under house arrest and unable to travel abroad. Suu Kyi will then speak at the British Parliament followed by a brief visit to Ireland. As the first Association of Southeast Nations (Asean) politician to become a Nobel Laureate, she provides much-needed impetus to democratic development between Asean members. Akin to democratic Indonesia that successfully reinvented itself from the bloc’s lowest denominator to its major driving force, value-added Suu Kyi would further boost Burma’s position in Asean as well as its reputation in the global community. But to ensure maximum outcome, Suu Kyi must increase her own “connectivity”—to borrow the Asean jargon—with the region and its 600 million citizens. For the time being, she has much in common with the norms and standards of the West. As time goes by, she will grow closer with the Asean that once discarded her. Ironically, Asean is exactly the kind of organization she could one day shape and influence. When Burma takes up the bloc chair in 2014, Naypyidaw and Suu Kyi can contribute to its openness and integration, if they so desire. Her political future continues to blossom, and she could potentially become the country’s leader and so directly set the group’s agenda. Eventually, she could become the most popular politician in Asean. After her first meeting with Thein Sein last August, Asean lowered its guard and became more supportive of her democratic struggle. From 1990-2011, her relations with Asean and its leaders were nightmarish. Both sides avoided one another ever since the infamous aborted meeting between her and Rangoon-based Asean diplomats in July 1995. At the time, Asean gave in to Burmese pressure—favoring the junta over a lone opposition leader. Since then, Suu Kyi has made more comments on Asean. When she met a group of Asean-based business leaders in February, she revealed her “simple ambition” of wanting to see Burma further develop and hopefully overtake some Asean members over the next decade. Her dream could come true if reforms truly are irreversible and accompanied by further democratization, effectively ending all Western sanctions. In retrospect, given her status and current political role, some Asean leaders owe her an apology for making intimidating comments during her incarceration. Prior to her release, Asean leaders avoided meeting Suu Kyi. 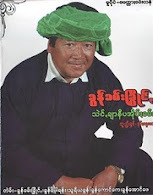 Back then former Thai Prime Minister Chuan Leekphai was the only Asean leader who refused to visit Burma during his time in office, from 1997 until 2000, because he was not allowed to see her. After 12 years, Chuan eventually met Suu Kyi in Rangoon early this year. Through thick and thin, Suu Kyi has shown that she is a transformational leader in character, playing by the rules and following pacifist ways to win over her adversaries. She is different from some power-hungry Southeast Asian leaders who go after economic growth as the only redemption for their tight-fist rule that often trumps human rights and democracy. Whether the region is witnessing a new stewardship in Asean will depend on her learning curve and ability to define her role beyond her own country. Of course, as the opposition leader, she must show first and foremost her ability to realize national reconciliation and bring well-being to her people and subsequently others in the region.